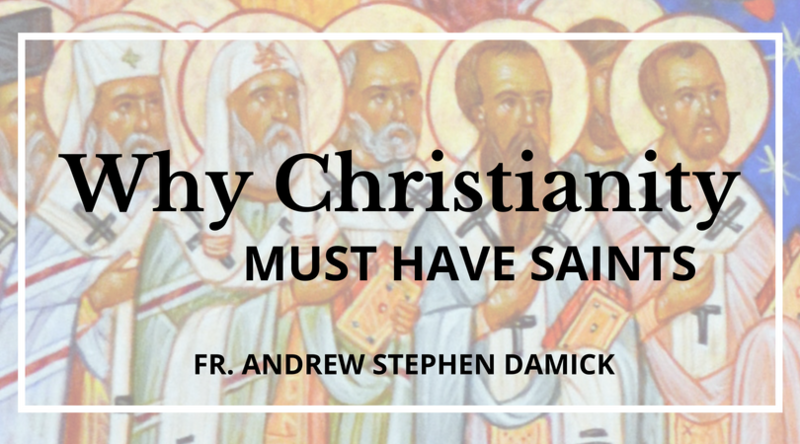 This first Sunday after Pentecost is dedicated to the commemoration of all the saints, and so it is commonly called “All Saints Sunday.” So I thought we could spend a little time today contemplating what a saint actually is and why they are so critical for Christianity. In the Scripture, the word saints is used in two different ways. On the one hand, we have usages like we see in many places in the New Testament, where Paul especially use the word to refer to all Christians. He mentions spending time with “the saints” in particular places, passes on greetings from “the saints” living in a particular place, etc. Clearly, he does not mean that all these people are “saints” in the sense in which we usually think. 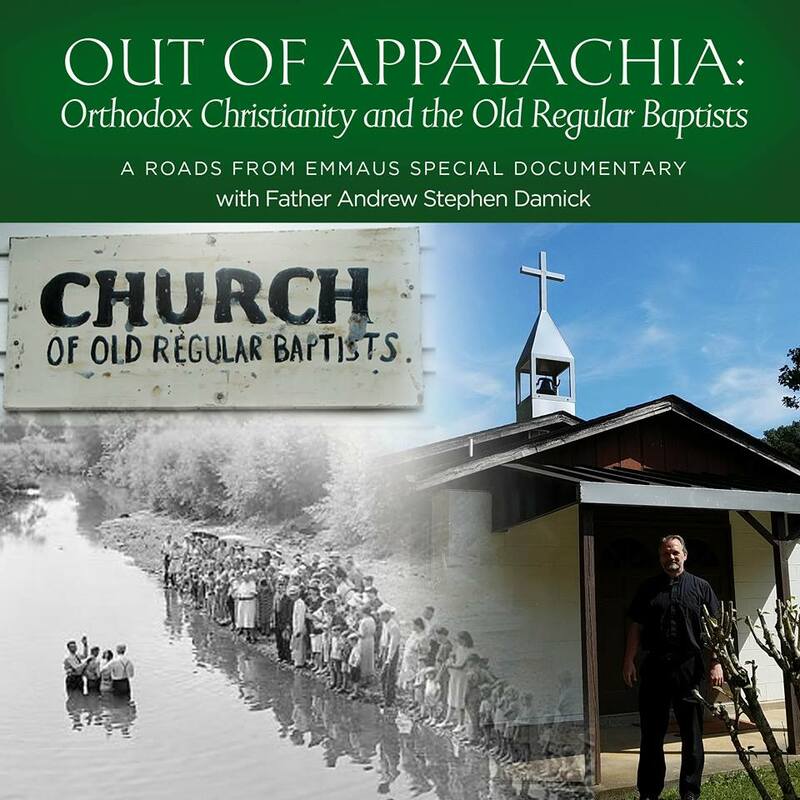 They are simply Christians, the people who are part of the Church in a particular place. We also have the usage which we heard in today’s reading from Hebrews: “All the saints through faith subdued kingdoms, worked righteousness, obtained promises, stopped the mouths of lions, quenched the power of fire, escaped the edge of the sword, from weakness were made strong, became mighty in war, and turned to flight armies of aliens.” Clearly, this usage of saints does not apply to every ordinary Christian but only to certain holy people who with God’s help did extraordinary things. And Paul also makes use of saints to bridge the gap between these two concepts, such as in his greetings to the Christians at Rome and in his first epistle to Corinth, where he says they are “called to be saints.” So he acknowledges that they have a calling to sanctity, to sainthood, as it were. So, we can say that “the saints” are simply us Christians. But “the saints” are also certain holy people of God who have excelled in the Christian life in extraordinary ways. And being the one, we are also called to be the other. So this reality of our own sainthood is that it is both now and not yet, and we also see that some people have succeeded in attaining to this greater sense of what it means to be a saint. So in a sense, Christianity is to become more what we are, and we know that this is possible, because some people have done it. The feast celebrated today was originally a feast specifically of all the martyrs, those whose witness to Christ’s reality resulted in their physical deaths. And that is what martyr means—it means “witness.” So to be a saint is to witness to Christ’s reality, to His presence. And this applies to both senses of saints that we mentioned earlier—we are witnesses now but also not yet. But what is it about saints that is so effective and so critical for us now as Christians? We may think of saints in the second sense as people who are simply “very good.” When we say “I’m no saint,” we probably meant it this way, that we are not perfectly moral people, because that is what a saint is. But this is a misunderstanding of what a saint is. There is not actually a place in the Scriptures where saints are described merely as people who are moral. They are moral, of course, and that is mentioned, but that is not what it means to be a saint. Morality is fitting for the saints, but it is really just an effect of sanctity and not its cause or definition. What does it mean to be a saint? Why is it that saints are witnesses? To be a saint is to be a person in whom Christ is present and to whom Christ is present. I remember in one of our encounters on the Holy Mountain of Athos when we were about to venerate many relics of the saints, often large pieces of bone or of their bodies—a hand or a leg or a skull, for instance. As we were approaching the tables where the relics were—many of them incorrupt, meaning that the flesh had not fallen away from them—one of our pilgrims hesitated. This was perhaps a bit too much. It was then that the leader of our pilgrimage said to us that these relics before us were not some kind of magical talismans but rather were for us the presence of Christ being revealed to us in the saints. Christ was present to us in that moment, which is why so many of the relics were incorrupt or had a beautiful fragrance to them or (in one case) even maintained body temperature. Saints are not magical, moral people who are simply “better” than everyone else. The reason why they were able to do all the things that Paul mentions in Hebrews is that they have Christ present in them and to them. Especially through a deep dedication to prayer, they came to know Christ in an intimate way—not as a subject in a book, but as a Person Whom they really know. That is why He is present to them. And when other people encounter them either in life or through their relics or their writings, then they encounter Christ, Who becomes present to them, as well. So what does this tell us for our own lives in Christ? On the one hand, we seek out the saints and want to be with them, both in their relics and writings, but also in their feast days, because in them we see Jesus Christ and how He transforms someone. But in them we also encounter Jesus Christ. In them, we actually relate to Him and know Him. We know His love through them. We experience how God loves us as we approach the saints. If we do not yet love to celebrate the feasts of the saints, it is because we have not yet experienced all that is there in their feasts or their relics or their writings. We cannot assume that we have experienced all that there is in those things when we walk away feeling bored or rejected, when we subsequently reject experiencing the saints in those ways. Christ’s presence in and to the saints is also true for us who both are saints and are called to be saints. He is actually present in us if we are baptized Christians, and He becomes present to us as we live out our baptism and respond to His call in prayer. And we also communicate that to others, not just in our words but in every facet of our lives. And is it not also true that people may encounter us and walk away feeling bored or rejected? Do they not also subsequently reject us? But is that not because they have not yet truly experienced all that there is of Christ in us? We often feel misunderstood. And of course we also often misunderstand the Lord, too. So we have compassion on those who leave us feeling rejected or disconnected and may even reject us. They just don’t yet know what there is to experience of Christ in us, possibly because we are not showing Him very well but also possibly because they are not yet seeing Him very well. So what, then, are we celebrating today when we celebrate all the saints? We are celebrating those whose extraordinary love for the Lord has brought them to awareness of His presence in them and to them. We are also celebrating how, through them, we become aware of the presence of the Lord. We also celebrate how the Lord is present in us already—as we say, “Christ is in our midst!” And we celebrate how He is present to us. And we celebrate how He is present to others in and through us. What does it mean to be a saint? It means loving Jesus because we know Him, because He first came to us and first loved us. And in that, He is again revealed to us and through us to all the world.